What are these and what are those? Fancy shoes and party clothes! Bunny's big day has arrived, and her family and their forest friends are ready to celebrate in style. There's hugging and kissing, singing and dancing, and, of course, cake and presents! 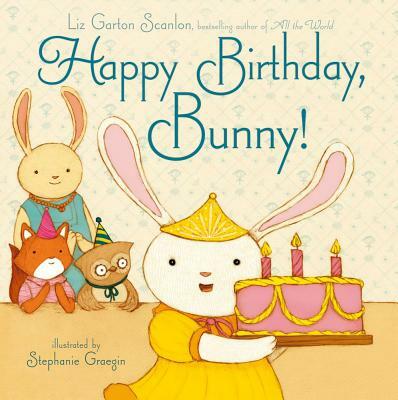 In this sweet picture book that's just perfect for reading aloud, Liz Garton Scanlon commemorates that most cherished of childhood events -- a little one's birthday.